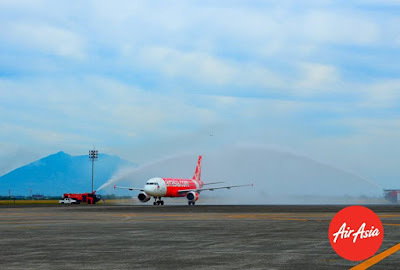 Aviation Updates Philippines - Low-cost airline Philippines AirAsia sent off its inaugural flight between Clark and Caticlan, the main gateway to the island of Boracay. CEREMONIAL WATER CANON SALUTE. The inaugural flight from Caticlan was welcomed by a ceremonial water canon salute from Clark International Airport Corporation. Photo by Philippines AirAsia. On December 15, Philippines AirAsia executives and Clark International Airport Corporation (CIAC) officials were present during the send-off ceremony of the maiden flight held at the departure area of Clark International Airport. “AirAsia believes in Clark. We established our base operations here and launched commercial flights in 2012 with only two planes and now we have a fleet of 17 jets and we are aiming to expand and grow operation here in the coming years,” Captain Darren Acorda, Philippines AirAsia chief pilot said during the event. Flights between Clark and Caticlan is being flown daily utilizing its 180-seat Airbus A320-200 aircraft, the sole aircraft type on its fleet. Flight PQ 922 departs Caticlan at 9:40 am and arrives Clark at 10:55 am. The return flight, PQ 921, departs Clark at 1:50 pm and arrives Caticlan at 2:50 pm. Recently, the airline launched flights from Clark to Davao and Kalibo. This marked the airline's return to Clark after it transferred its operations to Manila in 2013 upon completion of the consolidation of AirAsia Philippines's and AirAsia Zest's operations back then. Philippines AirAsia, among other carriers, are expanding its operations in Clark - an alternative to the Ninoy Aquino International Airport in Manila. The international gateway to the Philippines is presently experiencing air traffic woes which hampers airlines' expansion in Manila. 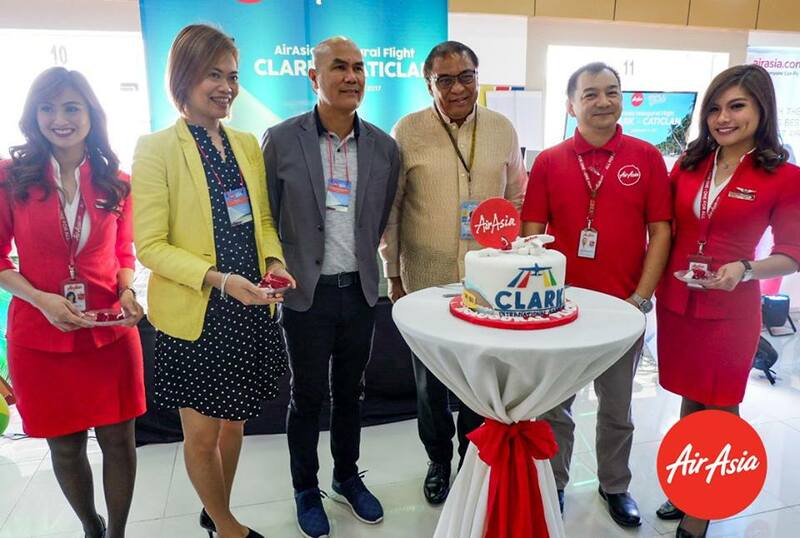 Thus, AirAsia is set to launch flights from Clark to Puerto Princesa, Iloilo, and Tacloban on January 26, 2018 in a bid to entice passengers to utilize Clark instead. This will also be an advantage for travellers in Northern Luzon. INAUGURAL FLIGHT SENT OFF. The inaugural flight will be an advantage to travellers from Northern Luzon and those who would want to avoid congestion in Manila. Photo by Philippines AirAsia. Local officials is pushing local airlines to launch more flights from Clark. Included in the local government's plan is to connect Clark to more international destinations in the future.